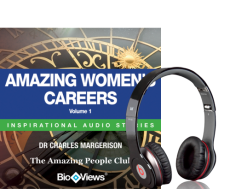 Find out how some Women took their opportunities and made successful careers. They had one thing in common. They used their time well. You can learn how to do likewise by hearing their great stories.